We are truly excited with this our first Russian River Syrah release. 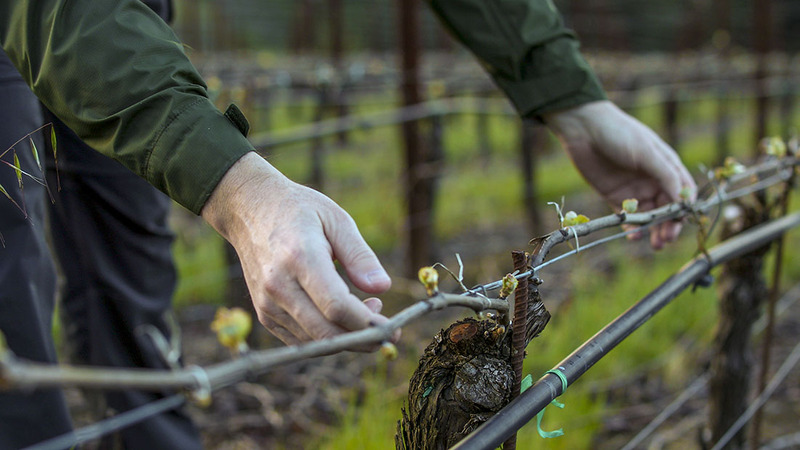 With its roots in the Hoppe Family vineyard, home of Eddie's Patch, there are distinct similarities in the flavor profiles and structures of the two wines, which exemplify the flourishing reputation the Russian River area is developing for this unique variety. 2003 was the finest vintage for Syrah we have experienced since our debut in 2000, with a long and generally moderate growing season. Following the wettest spring in 35 years and unsettled weather during bloom, a moderate crop ripened steadily and evenly with extended time on the vine under Indian summer conditions in mid to late October. Berry size was small and skins thick and chewy with strong pigment and dense extract. The tree block at Hoppe Vineyard, cropped at two tons per acre offered velvety sweetness and sheer fruit density; Saralee's Trenton Estate fermented with 25% whole clusters contributes soaring floral aromatics, pure cassis and fine acidity; Estrella clone from Sapphire Hill is leaner in its Rhone-like roasted meat and wild, savory profile. The combination is one of Californian richness with more complex earthy notes of lavender and game, supported by a taut structure. Blended in early spring and aged in a combination of moderately toasted Burgundain and Bordelaise barrels, the wine's tannin structure is dense and brooding, requiring the wine to be decanted in its youth or cellared for up to ten years. A deep purple-black color precedes a pungently aromatic nose of black raspberry, violet, pepper and lavender. The palate has immediate power and penetrating dense cassis and blackberry fruit, brightened by more floral high notes of graphite and minerals. Currently youthfully tight with rich chewy tannins, the length of the wine comes forth with aeration to show complex notes of roast meat and smoke and a sense of liveliness from bright acidity. Fans of sheer Californian power will enjoy this wine on release, while three to four years of cellar time will allow the natural gamy/floral aspects of Russian River syrah to come to the fore.